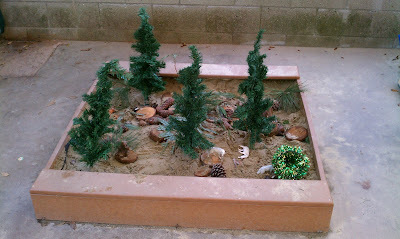 Our creative younger pod added a festive forest to their little sandbox on their patio. 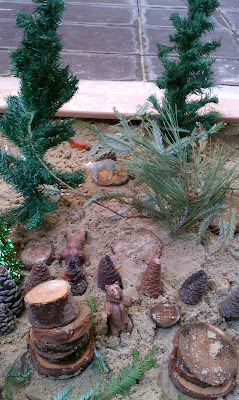 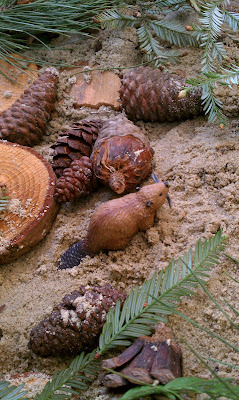 They supplied mini trees, real tree branches, pine cones, plastic forest animals and tree cookies. Tree cookies are just the chopped ends from Christmas trees...available NOW for FREE anywhere Christmas trees are sold!! We love them so much that we ask our parents to gather the cookies when they get their trees at Christmas. 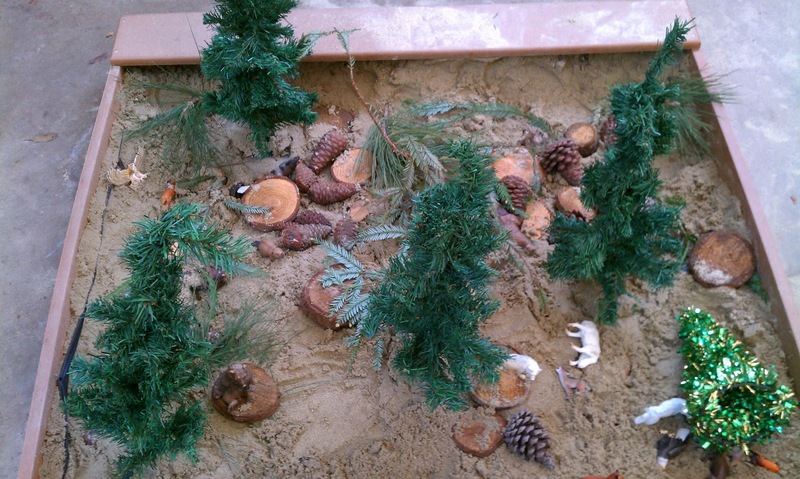 My coworker does a lot of exploration with tree cookies in the project room. 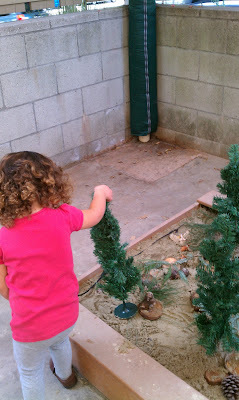 For more ideas, visit her blog at I Work 4 Kids!